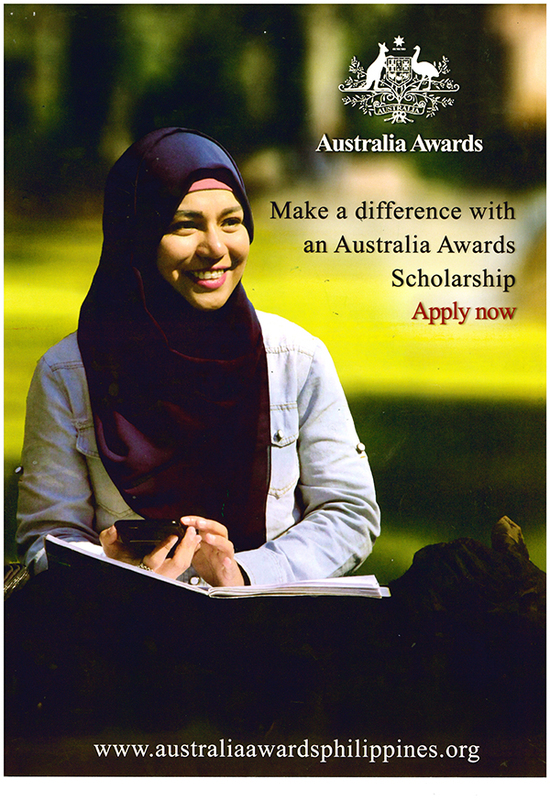 Australia Awards Scholarship are prestigious international awards offered by the Australian Government to the next generation of global leaders for development. Through study and research, recipients develop the skills and knowledge to drive change and help build enduring people-to-people links with Australia. Applicants are assessed for their professional and personal qualities, academic competence and, most importantly, their potential to impact on development challenges in the Philippines. Australia Awards applicants must meet all eligibility requirements detailed in the Australia Awards Scholarship Policy Handbook, available at dfat.gov.au/about-us/publications/Pages/australia-awards-scholarships-policy-handbook.aspx and at the Australia Awards Philippines website. Applications are strongly encouraged from women, people with disability and other marginalised groups. The application process is open and competitive, providing equal opportunity to all eligible people, regardless of age, gender, ethnicity or disability. Applicants are required to submit a Re-Entry Action Plan (REAP) that outlines how they intend to use their education and skills acquired in Australia to contribute to development programs at their workplace or in their communities. All candidates shall be subjected to the Australia Awards general eligibility requirements and Philippines-specific criteria and selection process. 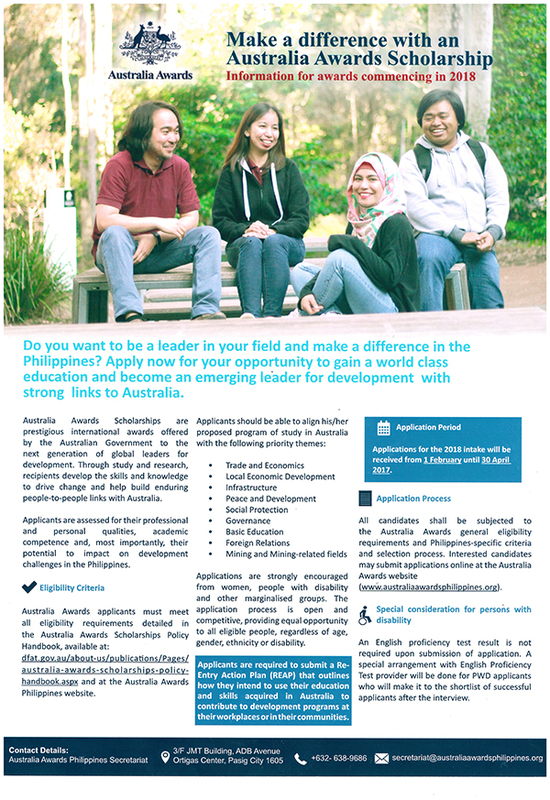 Interested candidates may submit applications online at the Australia Awards website (www,australiaawardsphilippines.org). An English proficiency test result is not required upon submission of application. A special arrangement with English Proficiency Test provider will be done for PWD applicants who will make it to the shortlist of successful applicants after the interview.